Today I'm bringing you news of Home Hardware's 2010 Calender Competition. Home Timber and Hardware is looking for 12 top dogs and their homes from all over Australia to star in the HOME “Dogs and their Homes” 2010 calendar. 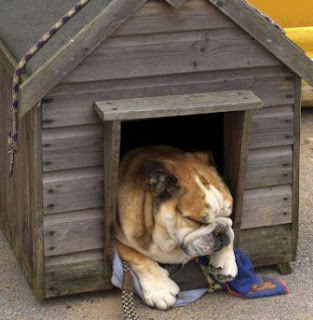 From January 2009, you have the chance to enter your dog and their ‘home sweet home’ in the competition by visiting http://www.homehardware.com.au/. Home Timber and Hardware is not just looking for kennels and dog beds, but all the craziest places your dog has found to sleep soundly in the knowledge that they are top dog. Whether they have a cosy nook under the stairs or hide away in the kitchen cupboard, you can be the ‘puparazzi’ and snap a picture of your dog in their home. The 12 lucky dogs will receive a professional photo shoot and star with Home Timber and Hardware’s own dogs, Rusty and Sandy, in the HOME “Dogs and their Homes” 2010 calendar, on sale from November in your local Home Timber and Hardware store. As a proper doggy treat, each winner will also be rewarded with a portfolio of their professional photo shoot! The competition is open now and entering couldn’t be easier – simply visit http://www.homehardware.com.au/ and enter via the online form or download the PDF to enter by post. Plus, every entry receives a Schmackos Chomp’N’Chew! my dog loves schmackos! im entering this for sure.